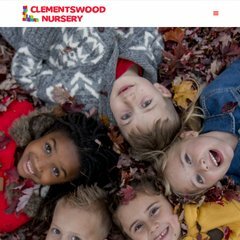 cnnursery.co.uk Clementswood Neighbourhood Day Nursery - Childcare in Ilford - Our ..
Cnnursery.co.uk's IP address is 194.116.175.94. Its 1 nameservers are ns.cnnursery.co.uk. It is hosted by Compuweb Communications (England, Nottingham,) using Apache/2 web server. PING (194.116.175.94) 56(84) bytes of data.